We receive a large number of suggestions on "what needs to be included" in project cycle due diligence procedures. There are many. We work to boil these down to creating the essence of "good practice" in terms of transparency, utility and ease of implementation in terms of a cloud-based system service. Currently out of a wide range of suggestions the following themes remain in the pipeline for consideration. All have been supported by proof of concept as well as application justifications. One theme that has been repeatedly drawn to our attention is a rising frustration on the part of project managers and some donors on how to manage project design in the context of the UN Sustainable Development Goals (SDGs). The main concern is that there is a significant gap in analytical techniques to link up the macro-economic perspectives of SDGs to what specific projects should do in support of them. The problem is that SDGs initiatives to meet them need to be multi-factorial and embrace many different domains of application and required expertise. This creates significant problems for project design teams and, in some cases, ministries, in being able to assemble the required expertise which also possesses the experience and capabilities is applying appropriate analytical methods to create transparent links between the macroeconomic and microeconomic (project level) activities. Without good design and macro-micro cohesion is self-evident that project monitoring and evaluation in the context of SDGs is problematic. 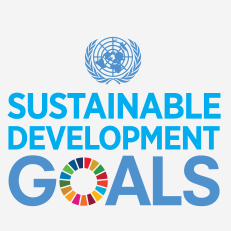 Project assessors report that many projects are being submitted for funding that use SDGs as headline justifications but which lack any convincing organic or functional content that demonstrates any feasibility of the projects to deliver the stated objectives. Given the already high levels of project failures recorded to date this state of affairs is of concern. The OQSI Due Diligence Design Procedure (3DP) was developed to address this question by ensuring all factors are taken into accout and given appropriate consideration. Population growth & density; Land carrying capacity and human displacement; Urbanization; Livelihoods & alternatives; Food and fibre (nutrition) requirements; Food balance sheets; Commodity balance sheets; Environment; Ecosystems; Water and sanitation requirements; Energy requirements; Housing requirements; Education requirements; Employment requirements; Real income requirements; Financial analyses; Statistical analyses etc. One of the elements in transparency, especially when analysis is based on locational state theory, is spatial dynamics. We therefore have requested that locational state thematic maps (LSTM)1 become components of the outputs of any recommended procedures to aid understanding of complex interactions. Prototype algorithms and demos have been supplied by SEEL-Systems Engineering Economics Lab and applied tests complted by Navatec.com to asses their ease of application for users of cloud services. The Task Force received reports from both SEEL and Navatec.com on each procedure. Of the 250 potential analytical tools 125 have been implemented and are in the process of being offered by SaaS--Apps.com as a cloud-based library for design teams working to support SDG objectives. We have removed the listing of topics under consideration for inclusion in the current due diligence design procedures because the emphasis on analytical tools has simplified our assessment procedure and in many cases removed previous propositions from consideration. 1LSTM-Locational State Thematic Maps are essentially a form of GIS (Geographic Information System) but the theory behind their generation is significantly different. 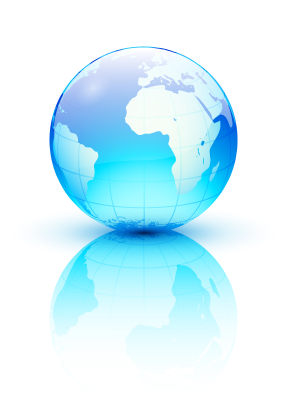 LST (Locational State Theory) was developed specifically for specifying more precise datasets and analyzing complex time-and geographic-based relationships.